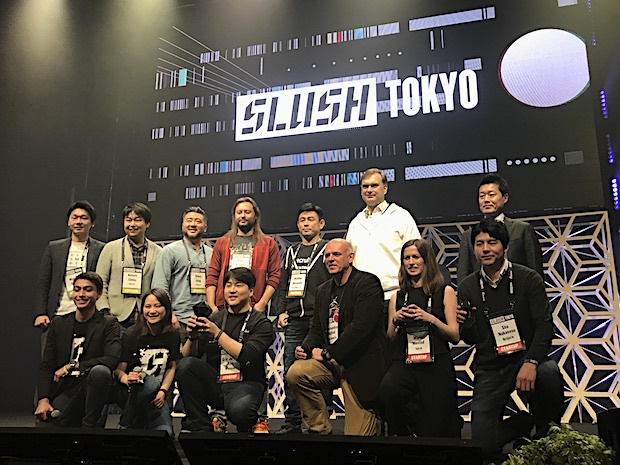 This is a part of our on-site coverage of Slush Tokyo 2017. 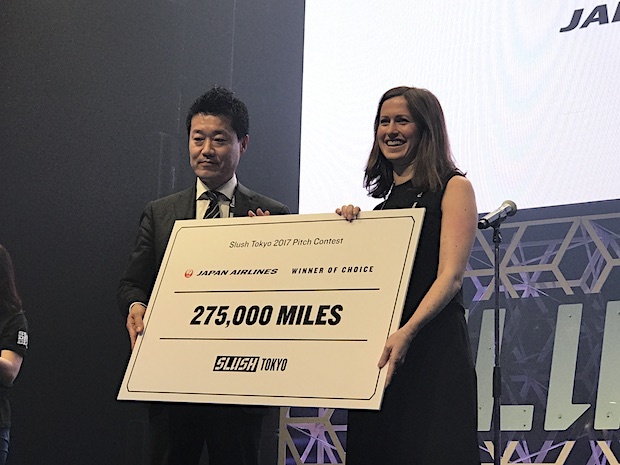 Slush Tokyo 2017, one of the largest startup and technology events in Japan, was held at Tokyo Big Sight last week. 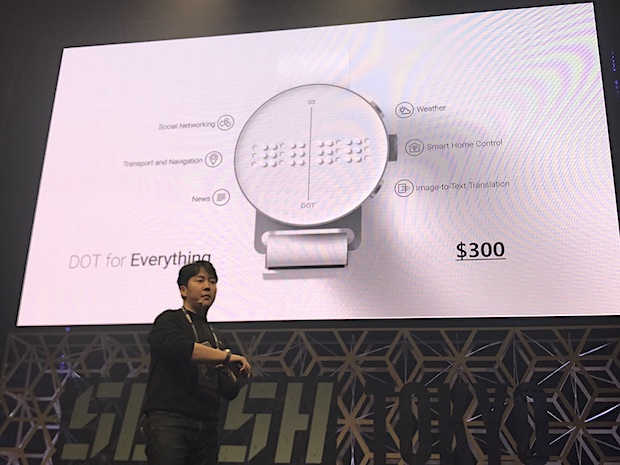 In the pitch competition within the event, Korean startup Dot which is behind the Braille smart watch / tablet was chosen for first place from among four teams which survived the qualifying round contested by the 80 nominated teams over two days. 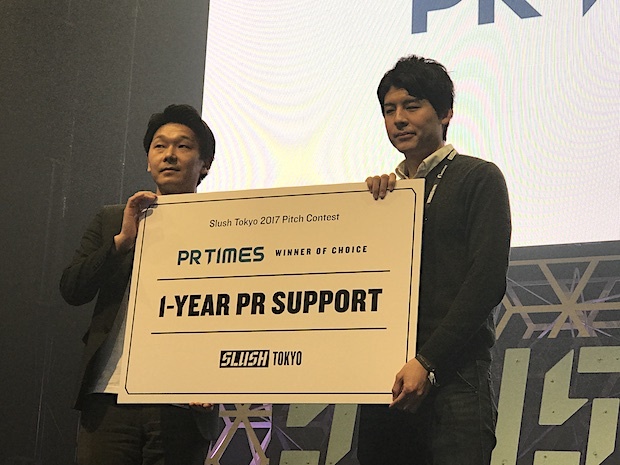 Event contestant made a five-minute pitch followed by a Q&A session with judges. The followings were the four finalists. Dot developed a smartwatch capable of expressing Braille descriptions named Dot Watch, in addition to other Braille devices. Dot Watch enables the visually-impaired to exchange messages or to understand posts on social network services by touching the display. It will be welcomed as a gift item since costing only $290 which is much cheaper than conventional Braille keyboards costing about $5,000. The team succeeded in downsizing of the display on the face utilizing its 18 patents. This technology is applicable to the guide display boards at subway stations, bank or bus stops. It currently supports 35 languages and will do more by performing each scaling. Furthermore, the team has been developing the Braille tablet Dot Pad as its new step supported by Google. 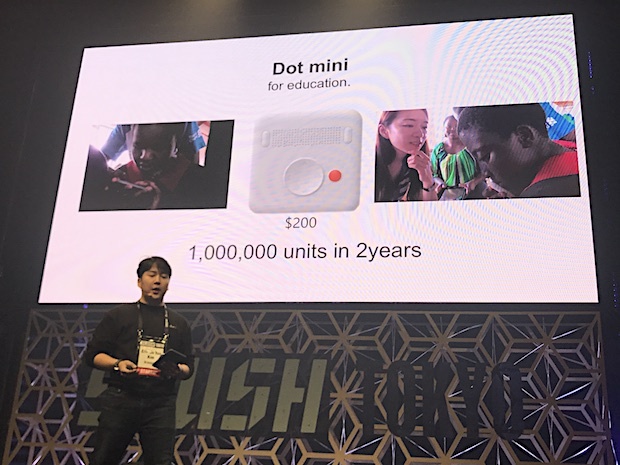 Dot Mini, the simplified version of Dot Pad for educational use, was distributed in Kenya as a trial operation and received favorable feedback. Since there are also more than 10 million visually-impaired people in India, the team expects a huge market. 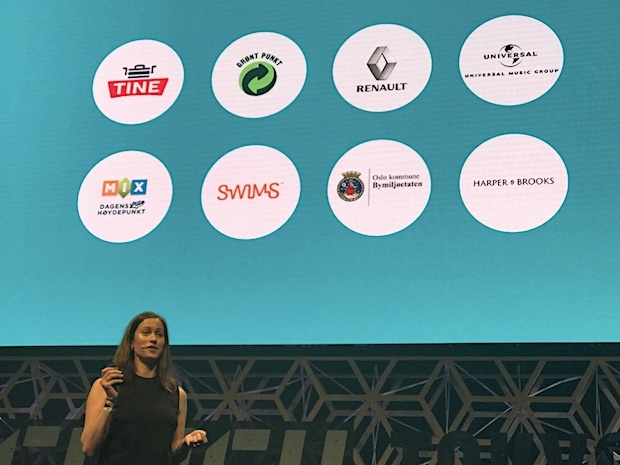 Norway-based Inzpire.me is a marketplace for connecting influencers and product brands. Under the current influence marketing environment, 10% of top influencers earn 90% of the total marketing budget demand. The team explains that this imbalance is caused by a lack of transparency and reliability as to influencer marketing. 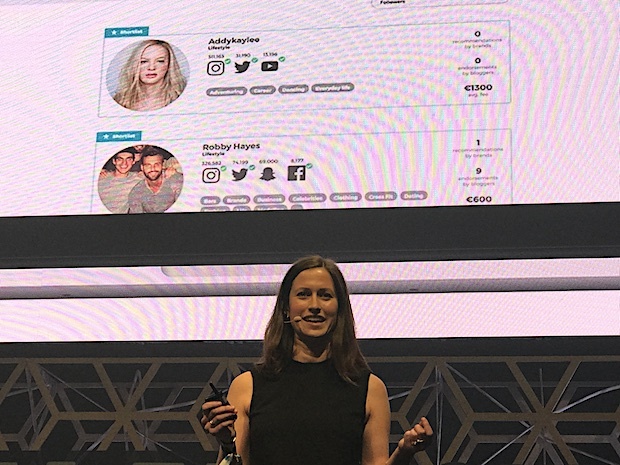 Since launch of its beta version last year, Inzpire.me has gathered 6,500 influencers and the number of total followers for these reaches 300 million worldwide. 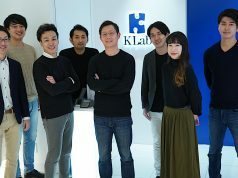 Partnering with 60 brand companies, the team has been focusing at this time on business in Europe and US but also aims to expand into Asia in the future. 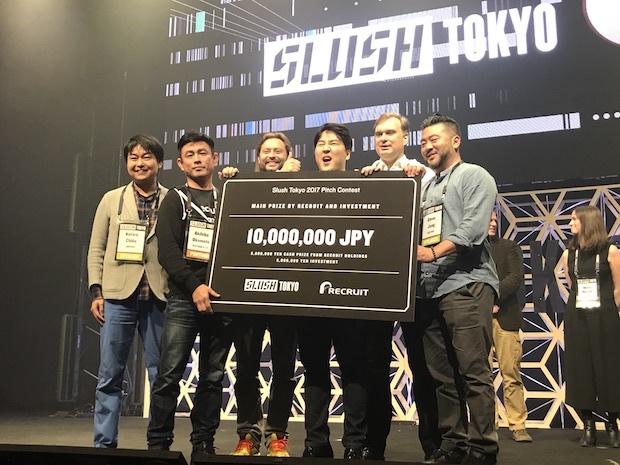 Macrospace is a Japanese startup developing system for tele-existence. 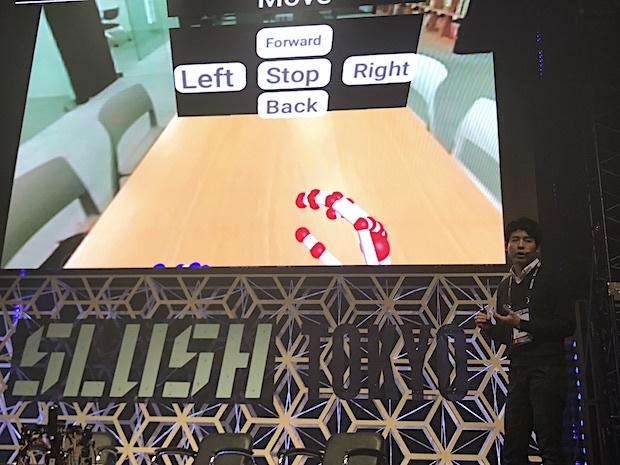 Putting sensors on a controller’s body and sending acquired motion data via the Internet, it can control a remote robot with the same motion. The technological advantage of the team is being able to markedly suppress the communication delay between controller and robot by utilizing UDP (User Datagram Protocol) and Deep Learning. Thus it is possible to virtually “exist” in a different location simultaneously. The existence of avatars in different places may realize “teleportation”; tele-diagnosis or tele-education will become technically possible by setting avatars in depopulated areas that lack doctors or teachers. 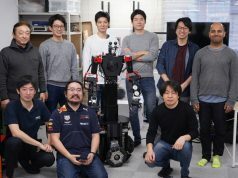 Since the robot sizes are independent of the human body, larger robots can be controlled by users so that they can also be utilized for disaster rescues. 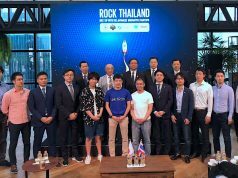 By the way, CEO Sho Nakanose was chosen as a participant for a program at Singularity University which will be held this summer. 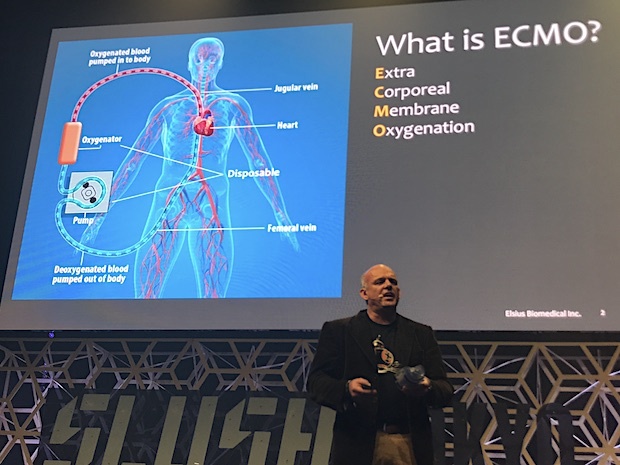 ECMO (Extra Corporeal Membrane Oxygenation) is a life-saving technology used in ICUs (Intensive Care Units) or emergency rooms; it pumps and oxygenates for circulation of a patient’s blood from outside the body. The availability of conventional ECMO equipment was limited due to the need for power supply or blood dilution. 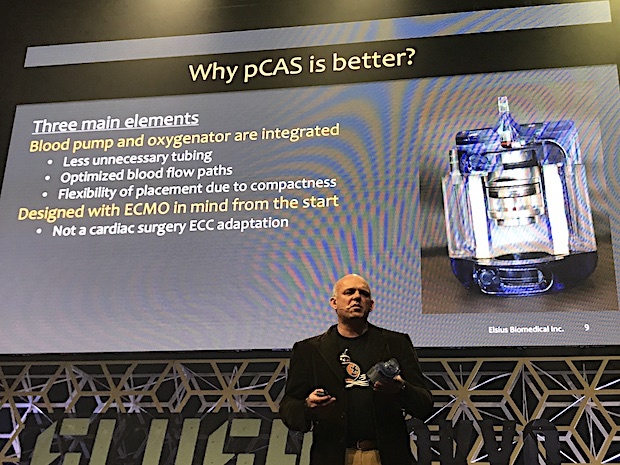 Elsius Biomedical developed compact and portable circulatory support system pCAS for easy-use ECMO. It incorporates blood pump and oxygen supplier, and is expected to save more lives.